Biochemistry is a notorious course for demanding a high-volume of information in a short amount of time. However, there are studying methods to assist students in learning efficiently and effectively. I have studied and interviewed groups of medical and science students that have mastered their course work. It is true that there are specific and detailed guidelines that these students adhere to and credit for their academic success. The successful student must excel in visualizing relationships, memorizing facts, and reciting complex metabolic reactions of the human body. With some time and applying these strategies and tips from past honor students ofBiochemistry, you will greatly improve your academic performance. Study Skill #1 – Do NOT procrastinate. The most obvious, and yet least followed advice by students. 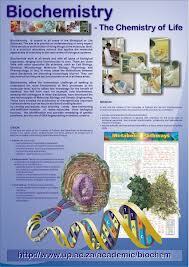 Biochemistry is a high-volume course that progresses and builds its concepts on the fundamentals. Moreover, many pathways and reactions require memorization and must be acquired over time. The last thing you want to do is cram for this course. Study Skill #2 – Know the terminology and nomenclature, it will make things much easier down the road. An enzyme or protein will often have its function built into its name. Take Protein Kinase A for example. As a member of the Kinases, it will almost always add a phosphate group to its substrate. Or, take Alcohol Dehydrogenase, structures that are Dehydrogenases always oxidize a substrate. In this case, it oxidizes alcohols into aldehydes and ketones. Once you get this down, you will begin to recognize names and automatically correlate them with a specific function. Study Skill #3 – Start with the big picture. 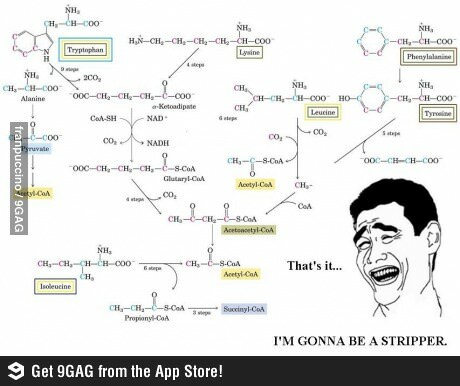 There is no doubt that you will have to memorize multi-step metabolic pathways. The best way to do this is to start with the easy steps and understand the overall flow of the reaction. First, write only the substrates and products in order. Do this repeatedly, until it is memorized. Then add the enzymes. Then continue to add co-factors and by-products. If necessary, label each as an exer- or endergonic reaction. Use the nomenclature to help you remember what is going on in each step. For example, Phosphofructokinase-1 – adds a phosphate group (phospho-kinase) to the molecule fructose (-fructo-) at the first position (-1). By breaking down the pathways and focusing on the terminology it will greatly speed up your ability to memorize them. Study Skill #4 – Buy a dry erase board. Use this to memorize the pathways and any other reactions you have to know. There are no short-cuts, but writing things out reinforces them in your memory. It tends to be much more efficient than staring and reciting from your textbook. Study Skill #5 – Know the purpose of a reaction. Take the Bohr Effect for example. An increase in [H+] (decrease in pH), CO2, temperature, and 2,3-BPG all occur in active skeletal muscle. They also all encourage O2 release from hemoglobin. This makes sense if you think that working muscle is metabolic tissue and needs oxygen to survive. Incorporating the larger concept will also allow you to predict the flow of reactions in other situations throughout the body. Study Skill #6 – Stare at the graphs and plots. These questions are virtually freebies on exams because all the information you need to solve them is included. Know what the x- and y-intercept, the slope, and the area under the graph represent. Know what makes the graphed line move to the right or left. You will absolutely be asked about the Michaelis-Menten graph and the Hemoglobin dissociation curve – these are staples ofbiochemistry. Study Skill #7 – Seek to understand first, and then memorize. Like many other courses, biochemistry can be overwhelming at first. There is no easy way to memorize every amino acid or metabolic reaction. But students always claim that if they take the time to first get the concept down, the memorizing is not as difficult as it once seemed. Stay focused, break it down into small steps, and practice.